I’ve always believed that fundraising is good work and that in helping organizations accomplish their fundraising goals, I am helping to make the world a better place. My career in fundraising led me to specialize in supporting fundraising infrastructure and eventually to becoming a Raiser’s Edge™ consultant. Having spent many years in the fundraising field, I know what frontline fundraisers and administrators need to do their jobs effectively. I can help organizations harness the power of Raiser’s Edge™ and other Blackbaud products to creatively address their needs through custom reporting, push button reports for staff with little or no Raiser’s Edge™ training, automatically generated thank you letters, informative dashboards, effective event tracking systems, and many other functions. I am available for a wide range of services related to management of your Raiser’s Edge database including technical support for Raiser’s Edge™ users, one-on-one coaching for staff with limited Raiser’s Edge™ training, temporary or long term database administration, Raiser’s Edge clean-up and redesign, custom report building, and audits and consultation on use and design of your Raiser’s Edge database. I look forward to working with you to meet your Raiser’s Edge needs. 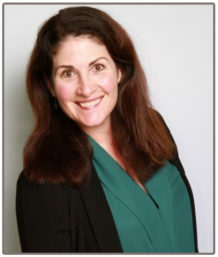 Lauren Schler, CFRE, bCRE-Pro has held professional fundraising positions in Principal Gifts at Cornell University, the College of Engineering at Cornell University, and at Franziska Racker Centers in Ithaca, New York. She is the editor of the book, Building Your Analytics Shop: A Workbook for Nonprofits, by Marianne Pelletier. She is an active member and board member in AFP (Association of Fundraising Professionals) and serves as Volunteer Fundraising Consultant for Ithaca Ballet.